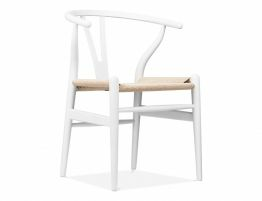 Truly exceptional design never goes out of style and the Hans Wegner Inspired Round arm chair continues to be a iconic piece of furniture history. 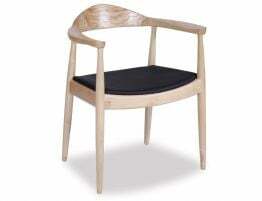 Nothing speaks of understated luxury quite like Danish modern furniture. 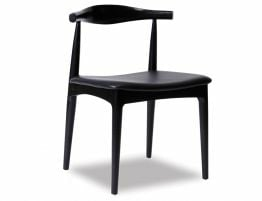 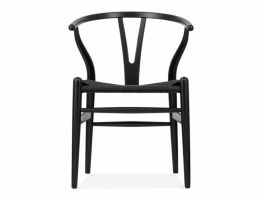 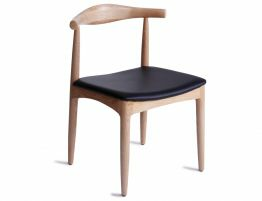 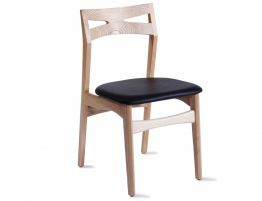 With the quality materials and craftsmanship, deceptively simple forms and timeless style, our Bow Round Arm Chair - Natural American Ash w/ Black Pad is a must have designer dining or side chair.